How Creative Visualization Can Help You Cope with Dark Elements? 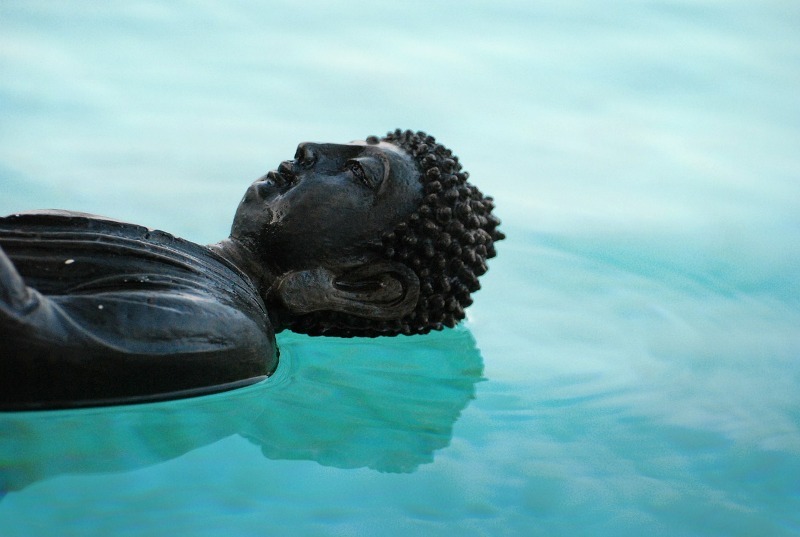 We meditate like Buddha on reflective water. Here I am again twiddling my thumbs and wondering what can I write for you guys. But this situation didn’t last long. As you all know, I occasionally have the usual run in with “dark elements” here in my mountain home and elsewhere in the most congested areas of the city. When I have my occasional “encounters” with The Other Side, they’re not that dramatic as you can imagine (and I hope it doesn’t develop that way ;). What these entities do is usually work on your darkest fears, whether that be a fear of spiders or snakes, or even meeting Uncle Henry around the corner. The point is, these beings usually can read your mind, where most of your darkest fear resides. So how do we turn the tide against these beings who like tormenting your mind and eventually, your health and your sanity? The answer is “Creative Visualization”. Firstly, start out with visualizing an “image of your ideal situation or solution to a problem”. For instance, if your enemies are constantly sending you cockroaches or birds of prey that always scare the bejezus out of you, then visualize a happy scene wherein you “totally” eliminate these birds of prey and become pretty safe from them. In other words, imagine the ultimate positive or ideal solution or situation to such a problem or issue. Secondly, start “imprinting” that particular scene, situation or solution in your head. Now, if you have some problems doing that, this is where we bring in “meditation”. How to meditate? Well, my technique is pretty simple – I observe the ins and outs of my breathing and the rise and fall of my diaphragm. I try to still my mind which means trying to clear my mind of any extraneous thought (I know it’s difficult to totally empty one’s mind, that’s why I follow my breathing instead). Once you are able to still your mind, you can now suggest to your mind what you want it to do. Lock in this thought in your mind by making and declaring your intention to the Universe what you intend to do. Easy as pie? Hopefully so. The reality is, our mind is still logged into the Matrix of the World we are living in now. And if you are still “hooked” into this world, then it is still difficult to disassociate yourself from the energies that they send to you. And that includes me as well. Since I managed to figure a few years ago that The Other Side which is a name I call our dear R friends, have been manipulating or sending negative messages to not only myself but a host of people on this planet, it has been a daily struggle to keep one’s frequency up. Why do you think they keep on sending those low frequency waves with negative messages? Because that keeps us vibrating at a lower frequency. Lower frequency easily generates negative emotions such as anger, fear, disappointment, sadness, despair, envy, etc. And they feed on those negative emotions. And so our 3rd step would involve removing any vestige of negative emotions or negative thoughts from your head. Because once you strip yourself of this negative thought or emotion, you also enable yourself to vibrate at a higher frequency than them. And they can’t get you there. But that isn’t a given – vibrating at a high frequency. You still have to be vibrating on the positive energy of “love, compassion, joy, tranquility” and all the other positive emotions and thoughts that keep us vibrating akin to 5th dimensional beings. So yes, even I have to struggle to keep myself coherent and free of negative emotions and energies. It is not easy; I have good days and bad days as well. But follow the instructions I listed above and you’ll have a heads-up on your way to 5th dimension. And that is something you have to creatively visualize ;)! This entry was posted in 5th Dimension, Hacking the Matrix, manifest a positive reality, manifest our intended reality, self-empowerment, Spirituality and tagged Creative Visualization, higher dimensional beings, negative entities, psychic attacks, psychic protection, Raising our frequency, Reptilians, spirituality. Bookmark the permalink.